Documents recently obtained under the U.S. Freedom of Information Act highlight the American base's struggles to manage hazardous waste. 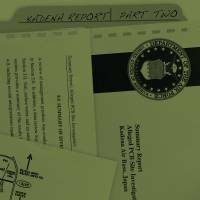 More than 8,700 pages of documents recently obtained under the U.S. Freedom of Information Act reveal serious contamination at Kadena Air Base, the largest U.S. Air Force installation in Asia. 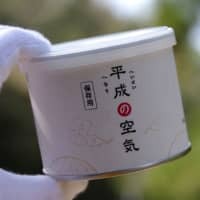 Last week, The Japan Times on Sunday reported about asbestos, lead and the impact of pollution on local water supplies. We also explored the shortcomings of current environmental regulations. 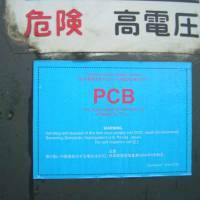 This week, we investigate how past disposal of hazardous waste, including polychlorinated biphenyls (PCBs) and dioxin, continues to threaten the health of American and Japanese residents, as well as the economic future of Okinawa. 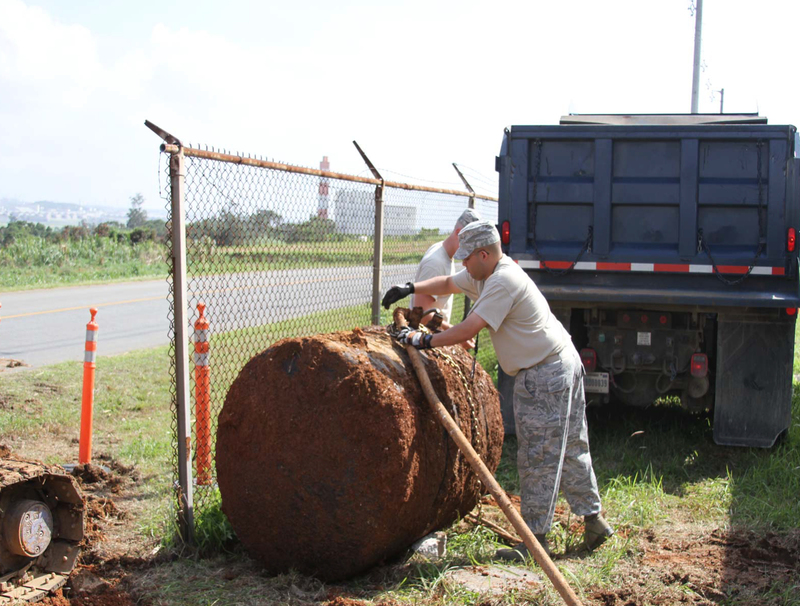 Kadena Air Base has been in operation for more than 70 years but its current custodians know very little of its history — particularly when it comes to the disposal of hazardous substances. Documents dating from the 1990s to 2015 repeatedly record service members stumbling upon pollution caused, but not reported, by their predecessors. Underground discoveries include petroleum/oil/lubricant contamination, white phosphorous and abandoned storage tanks, one of which leaked approximately 450 liters of diesel, endangering nearby farmland in March 2012. The struggle to control past contamination is highlighted by the base’s ongoing troubles with PCBs. 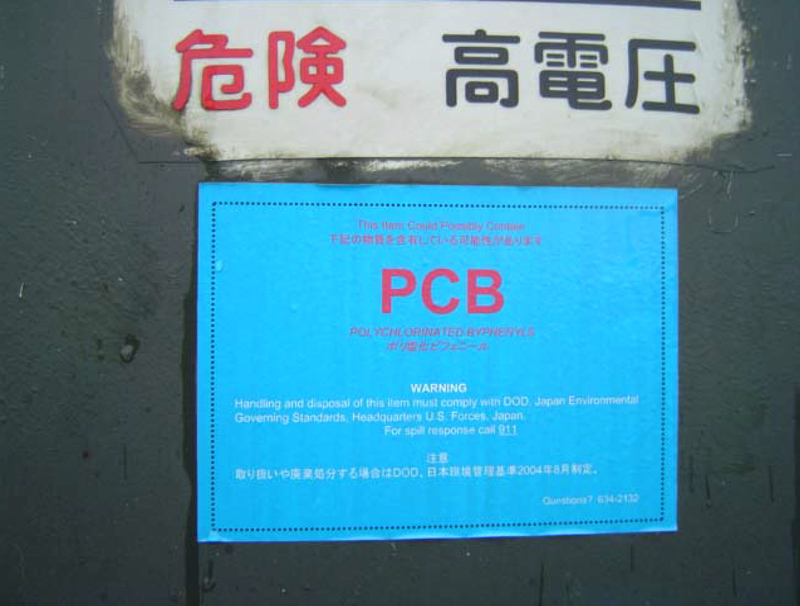 Throughout much of the 20th century, PCBs were a common component of electrical transformers but they were banned by the U.S. in 1979 when linked to cancers and problems with the nervous, reproductive and immune systems. The pool was located on a hilltop near Kadena Marina, a popular recreation spot, and past tests revealing PCBs in the sea suggest contamination had spread from the base via groundwater or storm drains. The existence of the pool only came to light in 1998 when a whistleblower reported it to local media, sparking an official investigation. 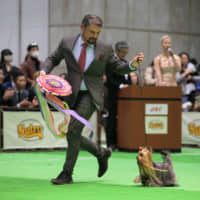 Komichi Ikeda, an adviser at Environmental Research Institute Inc., Tokyo, is critical of such disposal techniques. Burning contaminated oil, she says, can lead to the inhalation of toxins and the resulting ash can pollute the soil. Ikeda also expresses concerns for local waterways. 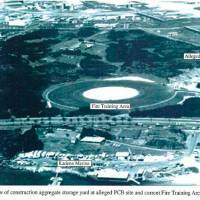 In the 1990s, Kadena Air Base collected PCB-contaminated oil from “various locations on island” and leaks gave rise to a number of hot spots within the installation. Inside one mechanical room, contamination levels spiked at 17,000 milligrams/100 square centimeters. The Environmental Protection Agency’s decontamination requirement for indoor areas — even those where access is restricted — stands at 10 milligrams/100 square centimeters. In 1993, investigators were concerned that PCB contamination may have spread so they recommended sampling the Hija River, which supplies drinking water to the base and seven municipalities, including the prefecture’s capital, Naha. It appears no such tests were ever conducted. As of 1999, the base only checked its drinking water for contamination from “PCBs and other constituents” once a year from a single tap. Water leaving the installation was only monitored four times a year. Today, the installation claims to test its water supply twice a year for PCBs and at specific intervals for other substances, for instance quarterly for arsenic and annually for lead. However, the 2014 discovery of high levels of lead in water fountains in an education building and recent failures to warn on-base personnel of elevated perfluorooctane sulfonate (PFOS) levels have called into question the reliability of such tests. Reports from the 1990s claimed PCB hot spots on the base had been remediated but these assurances now appear presumptuous. 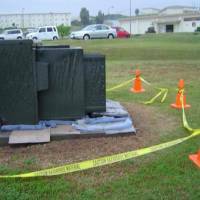 In 2011, investigators slammed the base’s policies regarding PCBs as a “major deficiency.” They underlined the absence of a safe storage area for contaminated transformers and failures to label equipment deemed hazardous. 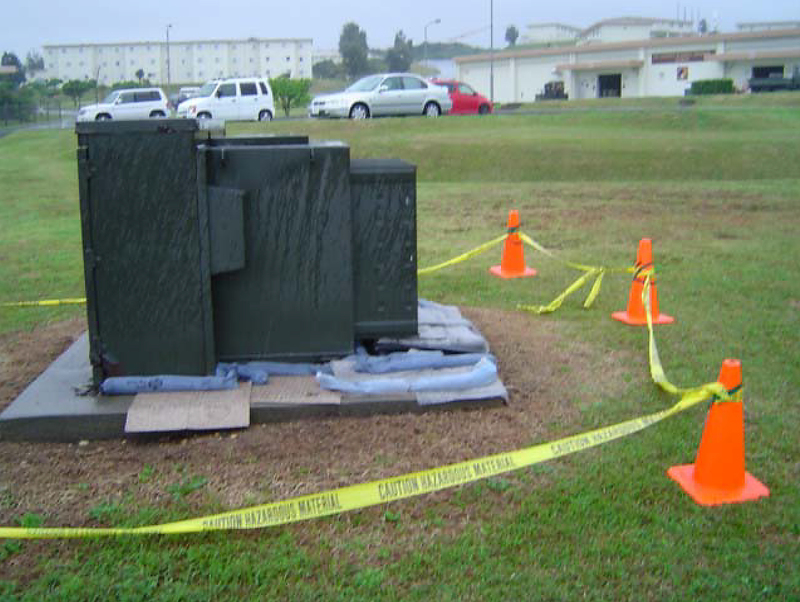 In 2012, the installation had approximately 500 transformers but checks for PCBs had been conducted on less than half of them. Recent reports reveal instances of transformers leaking and exploding. 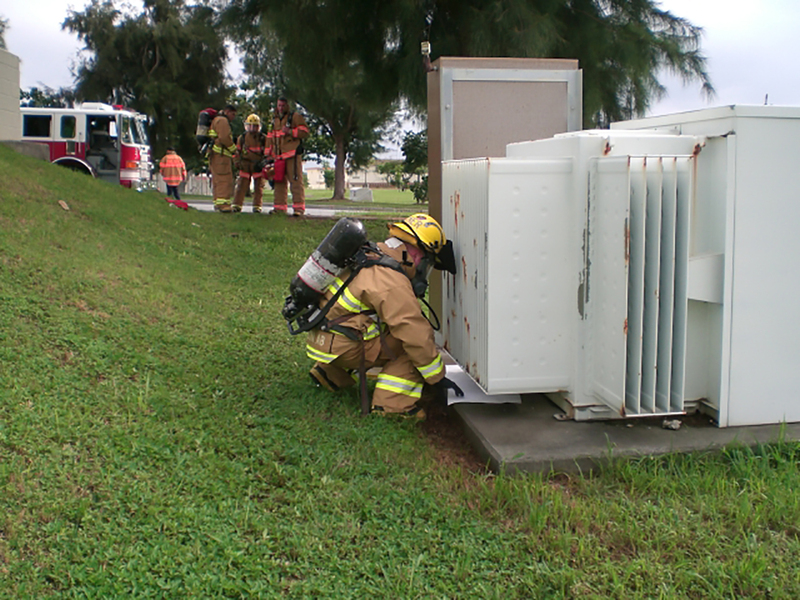 One email from August 2014 showed emergency teams’ frustrations after dealing with the third transformer leak within a two-week period. One of Okinawa’s most serious environmental incidents in recent memory is the discovery of 108 barrels of toxic waste between 2013 and 2015 on land that was once part of Kadena Air Base. The documents released under the Freedom of Information Act shed new light on the military’s role in the incident and U.S. Air Force attempts to downplay its severity to parents whose children attend the adjacent Bob Hope Primary School and Amelia Earhart Intermediate School. 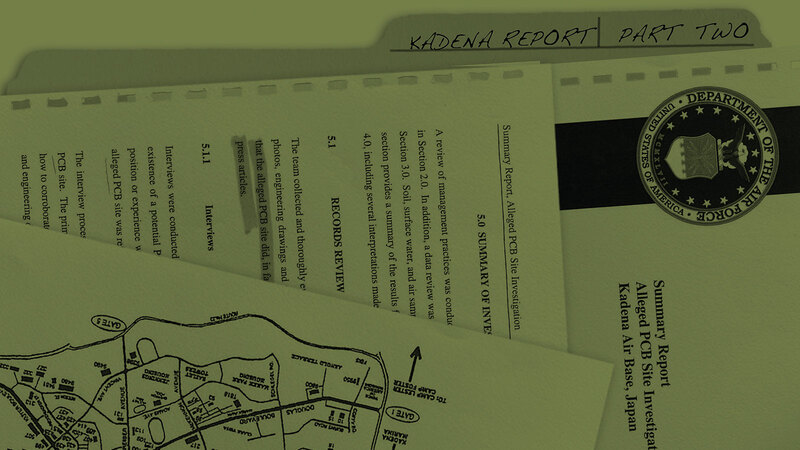 Piecing together a timeline of the incident from the reports, it appears that the military dumped barrels containing mixed hazardous waste into ravines on the outskirts of Kadena Air Base in the mid-1960s. Around 1980, the two schools were built in the vicinity and then, in 1987, some nearby land was returned to civilian control. In 1996, local authorities constructed a soccer pitch on the site. In June 2013, workers renovating the pitch unearthed dozens of the buried barrels — some of which contained high levels of dioxin. Although the discovery was within meters of the school playing fields, U.S. Air Force officials did not inform teachers or parents. No dust control screens were erected to prevent the possible spread of contamination and, as excavation work went on nearby, students on base were allowed to continue playing outdoors. When military families finally learned about the toxic waste six months later, they were furious. In response, base officials conducted their first checks of the school grounds on Dec. 31. However, they only tested surface soil and did not conduct magnetic tests to ascertain whether any barrels lay buried beneath the school fields. In February 2014, U.S. Air Force officials declared the school grounds safe but the laboratory test results — totaling 107 pages — have been entirely redacted from the documents released under the Freedom of Information Act. In the following months, more barrels were unearthed on the returned land, reaching a total of 108. As well as dioxin, some of the barrels contained the herbicides 2,4,5-T and 2,4-D, arsenic and PCBs. In nearby water, dioxin levels peaked at 21,000 times safe levels. Due to the detection of the two herbicides, independent experts concluded Vietnam War-era defoliants had been among the waste dumped there. On July 8, 2015, base officials sent out a one page memo that concluded that “appropriate measures will be taken” if they “become aware of any substantial impacts to the health or safety.” The contamination findings were attached — but it seems unlikely many parents read them. Three days later, heavy rain flooded the dumpsite and the muddy water was pumped by construction crews into nearby waterways without any checks for contamination. Flow maps suggest this water entered the base but, once again, the U.S. Air Force decided not to inform its service members. 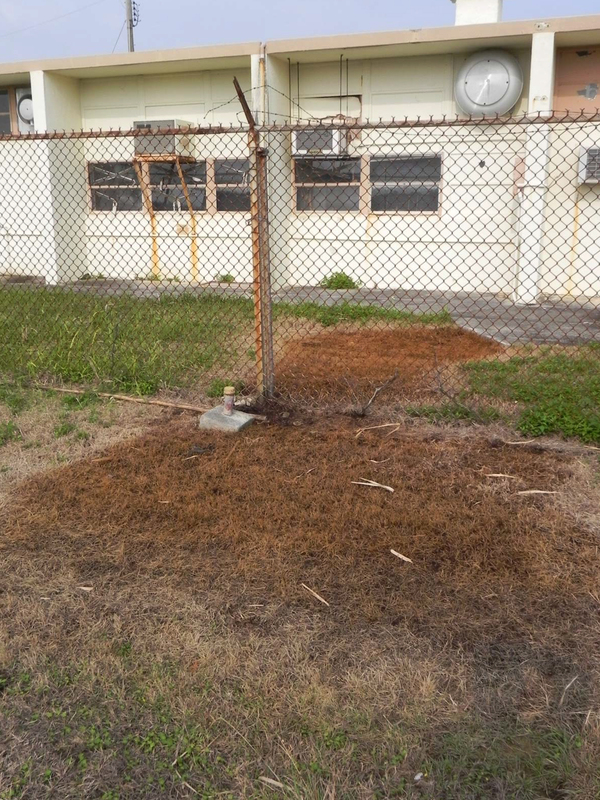 “Kadena officials have known about this contamination the entire time but they will do whatever they can to keep it all hush-hush,” says Telisha Simmons. Simmons and her family were stationed at Kadena Air Base between 2011 and 2012. Before arriving on Okinawa, none of them had experienced any serious medical problems but during their time on the island, one of her sons developed a brain cyst and her daughter bone tumors; Simmons herself was diagnosed with a pituitary tumor and other serious illnesses that resulted in a hysterectomy at the age of 35. Her children attended Bob Hope Primary School and played regularly on its fields. “Kadena has not reached out to me at all concerning this problem,” Simmons says. She is not alone in questioning whether U.S. Air Force negligence has contributed to her children’s illnesses. Speaking on condition of anonymity because they fear for the careers of family members currently serving with the U.S. Air Force, more than a dozen parents describe severe sicknesses among children who attended the two schools or played on their fields between 1999 and 2013. Illnesses include cancers, autoimmune, respiratory and neurological problems. U.S. Air Force officials have never investigated whether these illnesses are linked to pollution on the installation. According to Ikeda, children are particularly susceptible to toxic chemicals. Due to inadequate checks of on-base drinking water supplies, the numbers of those exposed potentially stretch back many years. Paula Davidson and her family lived on Kadena Air Base in the 1980s. During this time, her two children developed illnesses that were later diagnosed as cancer. A third child, conceived on Okinawa and born in the U.S., fell sick with cancer of the brain. “I believe beyond a shadow of a doubt that being exposed to toxic chemicals on Okinawa caused his illness,” Davidson says. Two of her children died in their 30s. “Now that they have gone, I guess they have just become another statistic,” Davidson says. 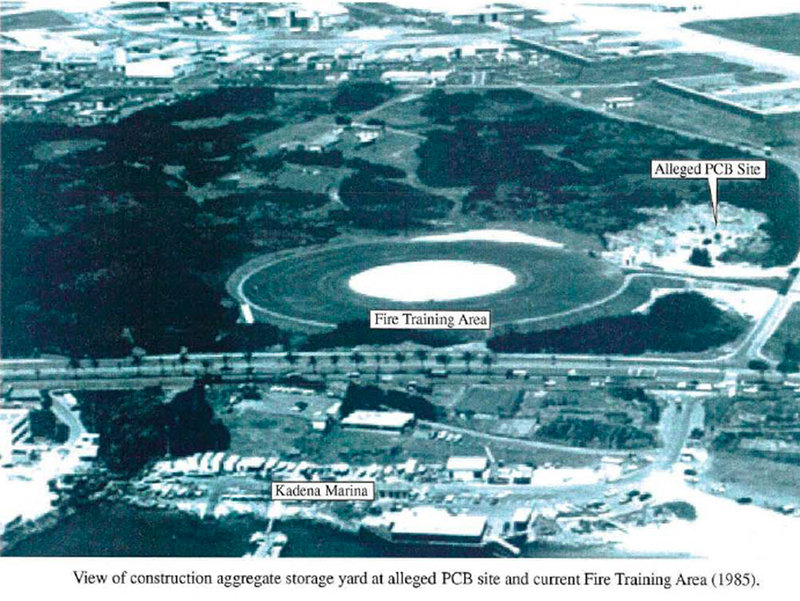 Given the severity of contamination on Kadena Air Base, these cases may be the tip of the iceberg. The documents released under the Freedom of Information Act reveal decades of dangerous exposure, including Okinawan farmers tending fields tainted with incinerated munitions, service members and base employees ordered to work among crumbling asbestos, civilians sold PCB-contaminated oil without warnings, and on-base residents and Okinawans drinking water containing PFOS, fuel and raw sewage. If Kadena Air Base were located in the U.S., then people exposed could demand an investigation from the Environmental Protection Agency. In light of current regulations, however, those living near the base are left uninformed, unprotected and with no recourse for justice. 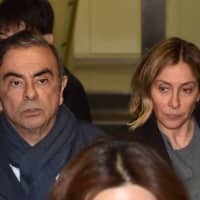 The Japan Times asked U.S. Forces Japan to comment on the problems detailed in this week’s article but no statement had been provided at the time of publication. This is the final installment of a two-part series on contamination at Okinawa’s Kadena Air Base. 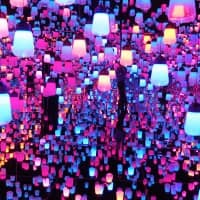 The first installment was published on April 10 and can be read online at bit.ly/1UXiwY4. Before Okinawa’s reversion to Japanese rule in 1972, Kadena Air Base and the adjacent ammunition depot at Chibana stored one of the largest arsenals of weapons of mass destruction on the planet: 800 nuclear warheads and thousands of tons of mustard, VX and sarin gas. In the late 1960s and early ’70s, two leaks of chemical weapons hospitalized 27 Americans, while so much jet fuel seeped into local water wells that they actually caught fire. Now, documents released under the U.S. Freedom of Information Act reveal Kadena Air Base has also been contaminating the environment, service members and Okinawan residents with dioxin, asbestos, lead, PFOS and PCBs. 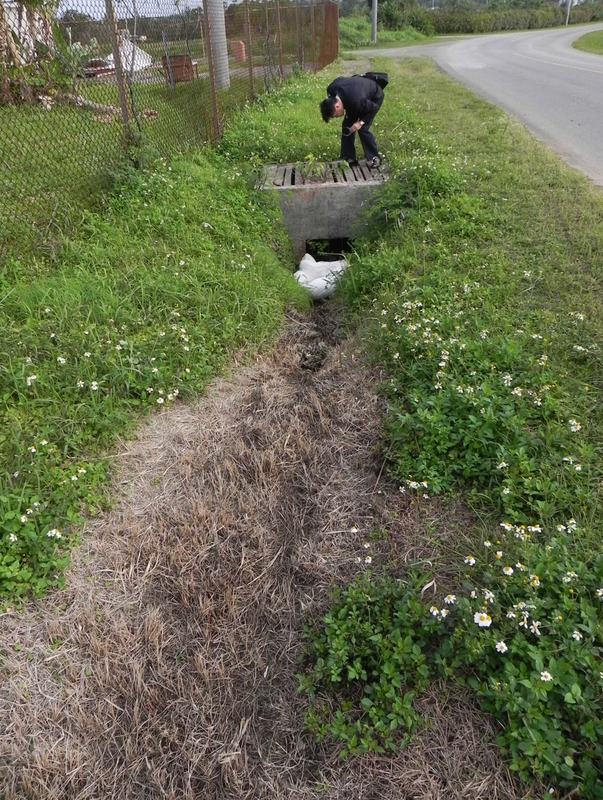 This problem is not confined to Kadena Air Base; during the 1970s, the disposal of surplus chemicals from the Vietnam War also contaminated Camp Kinser with PCBs, heavy metals, pesticides and dioxin. Okinawa’s pollution shares many similarities to contamination discovered on military bases in the U.S. In 2014, the Environmental Protection Agency listed 141 Pentagon installations as “superfund” sites in need of remediation, while the Department of Defense reportedly ranked third among the worst polluters of U.S. waterways last year. Nobody yet knows the full impact of military contamination on people living on or near the 130 U.S. bases in Japan. The Pentagon has repeatedly attempted to downplay the risks to service members and the Department of Veterans Affairs has not conducted any surveys. 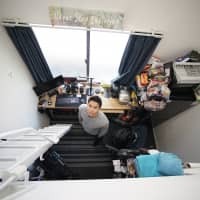 Likewise, Japan lacks a centralized disease control system that can identify spikes in certain illnesses among civilians living close to military installations. Far easier to ascertain is the damage military contamination causes the economy. 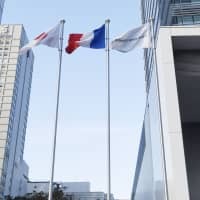 Since the Status of Forces Agreement absolves the U.S. of all financial responsibility to clean up contaminated land, the costs are borne by Japanese taxpayers. The financial burden of military contamination is particularly heavy on Okinawa, one of Japan’s poorest prefectures, where U.S. bases take up roughly 20 percent of Okinawa’s main island but contribute only 5 percent to the prefecture’s economy. In Chatan Town in 2002, for instance, the cost to clean up 187 barrels of unknown chemicals dumped by the U.S. military amounted to approximately ¥20 million. Elsewhere, redevelopment of land returned from Camp Kuwae, has been delayed for more than 12 years due to contamination from arsenic, lead and oil. In the 21st century, as Okinawa continues to graduate from a military-dependent economy, regeneration of former base land will become increasingly important. 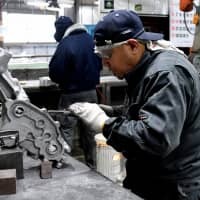 Successful projects in Naha’s Shintoshin and Chatan, for example, have provided jobs to thousands of people and multiplied profitability by as much as 170 times previous levels. Last week, The Japan Times on Sunday revealed contamination from substances including perfluorooctane sulfonate, lead and asbestos at Kadena Air Base. U.S. Forces Japan has now provided comment on a number of issues raised in that article. Asked whether tests for PFOS contamination currently being conducted on 664 military bases in the U.S. would be extended to Japan, USFJ replied, “The service-wide survey … applies only to stateside bases.” USFJ added that tests have “repeatedly determined that PFOS levels in drinking water at Kadena are well below the Environmental Protection Agency’s suggested limits.” However, USFJ did not provide comment on sampling that revealed contamination surpassing safe levels in nearby rivers between 2014 and 2015. USFJ also appeared not to possess documentation detailing the exposure of service members to asbestos during on-base war games. “We will be happy to examine any documentation you would like to share with us,” USFJ wrote. To facilitate notification of those service members exposed, The Japan Times has forwarded the relevant reports to USFJ.